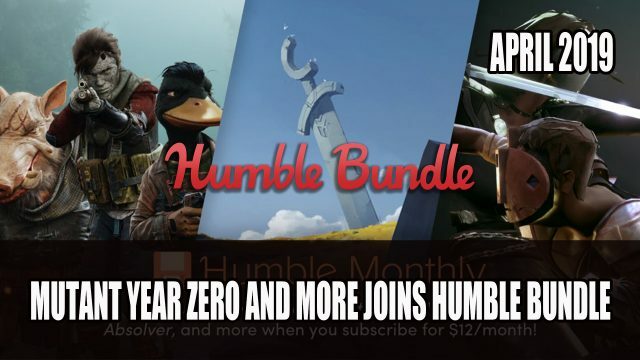 Announcing part of their lineup for April, Humble Bundle shared that Mutant Year Zero: Road to Eden, Absolver and Northgard are joining the list of games as part as their subscription. Northgard by Shiro Games is a strategy based title where you gain control of a Viking clan, and explore the Nordic landscape which remains rather hostile. This game is steeped in legend, myths ranging from wyverns to giants. Absolver is an online multiplayer combat game where you can create a character that follows a unique fighting style. If you’re taking on this MMO combat fighter be sure to check out our Absolver Wiki. For more about this new find it here in Mutant Year Zero And Absolver Joins Humble Bundle For April. 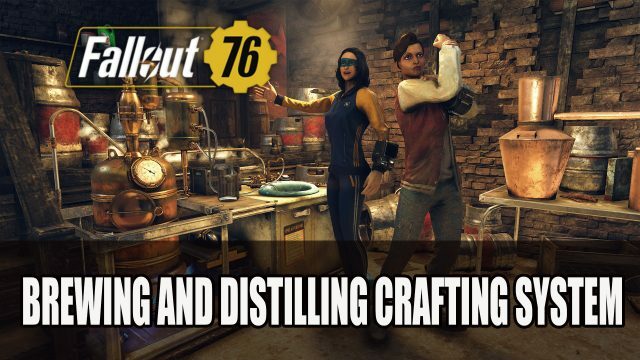 Adding further information to their recent 2019 roadmap of free content, Bethesda reveal the next addition to Fallout 76 in the form of a Brewing and Distilling crafting system, which will be joining the Wild Appalachia this March. Players will be able to live out their dreams as the Appalachia’s premiere bartender, first starting their brewing journey by attending the Vault-Tec University. Taking your acquired skills to the next level, by taking advantage of the new Brewing Station. Using this workbench which you can learn to construct from the “Wasted on Nukashine” quest, you’ll add the ability to craft beers, cocktails, wines and spirits to your C.A.M.P. Just as you would imagine while they do bring a good temporary buff, there are some side effects which include a mild hangover. Each type of Wine or Spirit may take different times to completely ferment, their effects will become even more potent the longer you leave them in the fermentation process. Each alcohol type comes with benefits but are also offset by negative effects, for example beers will increase scope stability and damage against animals but also reduce your VATS accuracy. Fallout 76 is currently available to play on PS4, Xbox One and PC. The brew crafting system will join Fallout 76 on March 12th. The next update Fasnacht Parade arrives on March 19th, along with the new Survival mode which arrives on March 26th. For more about this new find it here in Bethesda To Add New Booze Crafting System To Fallout 76. 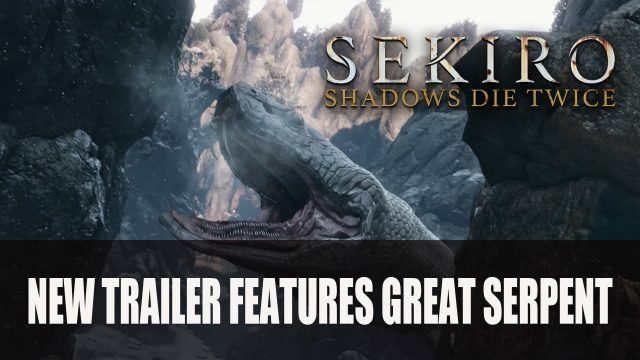 With Sekiro Shadows Die Twice releasing later this month, FromSoftware have been sharing new trailers featuring deadly bosses and enemies, but none so far have been quite as ferocious as the Great Serpent. Towering over Sekiro, this Great Serpent definitely fits the name. In this latest trailer from FromSoftware’s Youtube channel, we see Sekiro run through a mountainous region with the viper setting its sights on him. Not only slithering with speed, this snake moves with great flexibility, ready to snap at the next victim to cross its path. While the trailer is only 30 seconds, we get to see a new rocky area with plunging cliffs that will limit the player’s area of movement when it comes to the ground. It will be interesting to see if there are any other enemies that will be just as big, as it looks truly giant in size. This is the largest enemy they have revealed so far, and we’re definitely looking forward to seeing more. The trailer ends with the snake taking a snap at Sekiro before it cuts to black, leaving us in suspense of what will happen next. Sekiro: Shadows Die Twice will be releasing on March 22nd 2019 on Playstation 4, Xbox One and PC. For more about this new find it here in Sekiro New Trailer Features Great Serpent. The developers Bigben Interactive behind the upcoming action-RPG Warhammer: Chaosbane has announced the closed beta dates. The first phase for closed beta which is available to those who have pre-ordered Warhammer: Chaosbane, will be available from March 7th at 9am GMT until March 13th at 9am GMT for Playstation 4, Xbox One and PC via Steam. You will be able to experience the entire first act, try out two playable characters which includes The Soldier of the Empire and The High Elf Mage. You can also level abilities up to 20, experience co-op play as well as “many customization options” according to the developers. Whether you pre-ordered your copy digitally or by retail, you will be able to access the beta. Warhammer Chaosbane releases on June 4th, those who order the special edition will have early access on May 31st. Chaosbane releases on Xbox One, PS4 and PC. 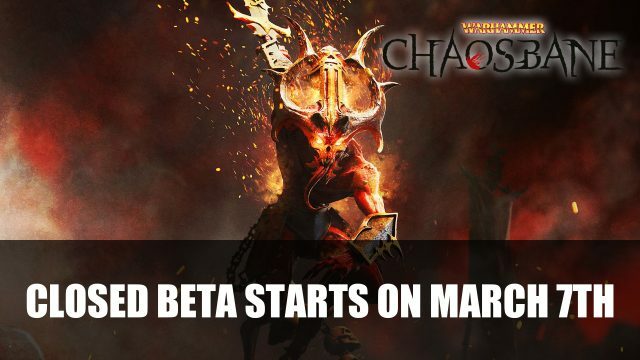 For more about this new find it here in Warhammer: Chaosbane Begins Closed Beta On March 7th. It was last year in August when Sony Interactive Entertainment Shanghai showcased a number of games that have been supported by the Playstation China Hero Project, showing off some of indie developers works at ChinaJoy 2018. There was a slight update this week on a few of the projects at the Playstation China Hero Project Spring Showcase. Titles Lost Soul Aside by Ultizero Games, Pervader by Beijing Light & Digital, as well as Project Boundary from Studio Surgical Scalpels are reported to be all in “stable and healthy development”. These three titles are going to be released for Playstation 4. Launching in 2016, the China Hero Project is an initiative that supports creative Chinese studios to help develop gaming content for Playstation. Project Boundary is already in preparation for its closed beta test which will be releasing for the Playstation Store for China. Currently no dates have been announced for the closed beta. Lost Soul Aside is an action-RPG that gained great notoriety when the developer Yang Bing posted his first demo on Youtube, little did he know at the time that it would be met with such a great response. The game ultimately is a hack and slash game which looks like a blend between DMC as well as Nier Automata. Produced by Pu An, Pervader is currently under development using the Unreal Engine 4, and follows the different perspectives of a growing crisis that hits a city in China. The producer strongly believes in his team’s potential and the talent of his artists in creating a gaming experience that takes inspiration from Chinese culture, with an interesting appeal to an international audience. Project Boundary delves into the outer space experience, combining VR with first-person shooter game mechanics. Developed by studio Surgical Scalpels, this multiplayer FPS is set in the near future, where space travel is prevalent with the use of space elevators. But its a different time with a new type of government, merchants, space pirates, mercenaries and outlaws that are looking to make use of valuable goods from the universe. Currently all games are in the development with no release window announced as of yet. 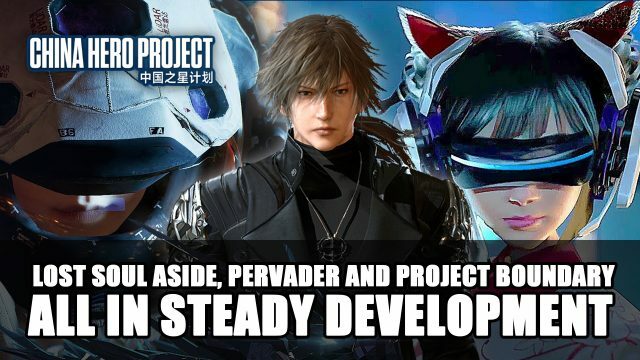 For more about this new find it here in Lost Soul Aside, Pervader And Project Boundary All In Steady Development and Action RPG AI-LIMIT Announced For Playstation 4. Originally the Game Director for The Witcher 3, he will now be taking the promoted title of Design Director for Cyberpunk 2077. The news popped up on the Cyberpunk 2077 subreddit when a Linkedin user spotted the title on his profile. But this is not the only news from CD Projekt Red this week, a new video has been shared by Playstation featuring the developer, as they share the thought process of the game’s progress. The highlight video features members of the CD Projekt Red team as they reflect on the development process, even sharing how after releasing a teaser video in 2013, going almost silent for 4 or 5 years. For them this was a challenge, as their community were very excited to hear anything about the game that was a brand new IP. The video also sheds more light on Cyberpunk 2077, stating that the development is “far from over”, which could mean there might be some time before its release. It features the importance of character customisation for players, which for a developer known for their detailed character designs such as The Witcher’s Geralt, is a new path for them to take allowing players more “freedom” with their protagonist. The importance of “first person” was also spotlighted, as it gives you a more “immersive” feel according to Level Designer Miles Tost. We’re left with the tagline “it’s still coming, when it’s ready”, meaning there is no current timeline for the release date. Cyberpunk 2077 will release on platforms PC, PS4 and Xbox One. 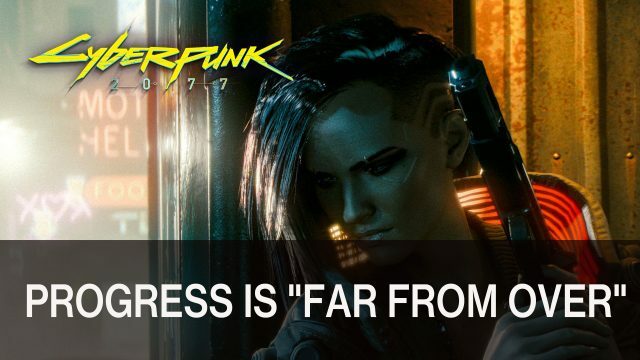 For more about this new find it here in The Witcher 3 Game Director Moves To Design Director For Cyberpunk 2077 and Cyberpunk 2077 Progress Is “Far From Over” As Mentioned In Highlight Video. 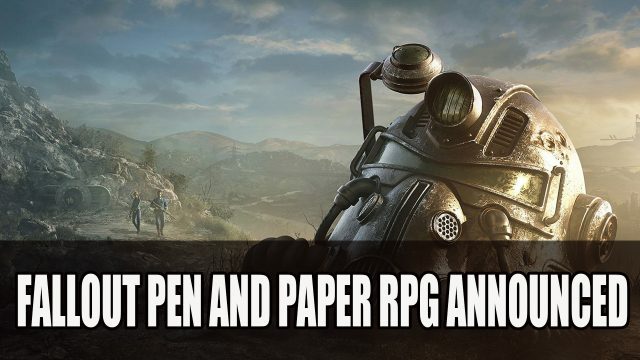 Publisher Modiphius Entertainment announces they will be releasing an officially licensed Fallout pen and paper RPG which is set to release sometime in 2020. The pen and paper RPG for Fallout will use Modiphius Entertainment‘s 2d20 system which is the same system used for Mutant Chronicles 3rd Edition and Star Trek Adventures RPGs. So far there is no title for the Fallout tabletop RPG and it will be next year when it gets its launch. Sam Webb head of roleplaying game development at Modiphius will be taking the lead of this project. A long-time fan and also worked on previous games such as Star Trek Adventures. But this is not the only Fallout themed project planned, there is also an expansion for the tabletop miniatures game Fallout: Wasteland Warfare in the works. The expansion for Fallout: Wasteland Warfare is expected to launch sometime this summer 2019, while the Fallout pen and paper RPG is set to release sometime next year. For more about this new find it here in Official Fallout Pen And Paper RPG Announced. Playstation have announced support for a range of devices with the launch of PS4 firmware 6.50, as well as launching a new app for iOS meaning you can now stream PS4 games on your iPhone or iPad. The new app allows iOS owners to play via their phone or tablet using the virtual buttons that work both in portrait and landscape modes. The features also include haptic feedback if your device supports it. While this could open up more ways to play your PS4, I think the screen size will play a big factor. 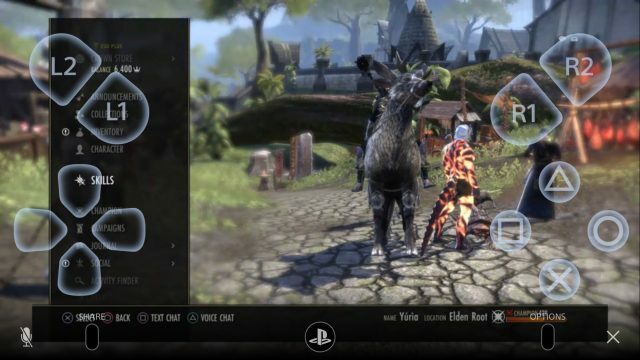 Smaller screens will make it a little hard to see in-game details especially when your fingers are covering half the screen. This might be more suitable on an iPad for a more comfortable viewing size. Where you can play will be limited to your home Wi-Fi reach as it is not supported by mobile network. However, the app could come in handy when you to be in other parts of your home or when nature calls. For more about this new find it here in Playstation Releases Remote Play App For IOS iPhone And iPad.